Encompassing portions of Wyoming, Montana and Idaho, Yellowstone National Park is a vast playground for outdoor enthusiasts, teeming with a variety of wildlife and a number of extraordinary natural features. Offering private van tours in summer months and historic snowcoaches in winter, to see the Park's most iconic attractions. See our rates and availability. 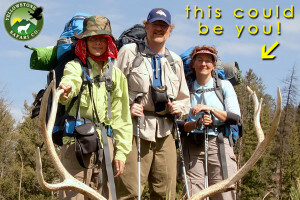 If you love hiking and want to see Yellowstone's backcountry, take an overnight pack trip. 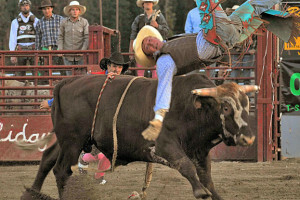 Or, enjoy a 2-hour, 1/2-day or Full-Day horseback trail ride. Priced affordably. Led by experienced naturalists and wildlife biologists, private and first-class tours offer once-in-a-lifetime views of nature's most awesome animals in the Park - Year Round. 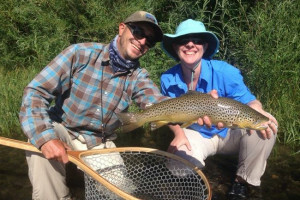 Specializing in wade trips in Yellowstone Park along the Madison and Yellowstone Rivers, and the Madison River throughout the Madison Valley. 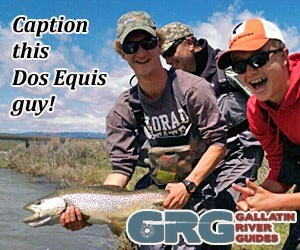 See our big fish pics. Everyone loves a one-hour horseback ride through meadows, along creeks and close to Yellowstone Park. Small kids enjoy an arena ride. Can combined with Rodeo pass and save. Offering guided interpretive tours into Yellowstone Park with local naturalists well versed in Park wildlife, ecology and geology. Yellowstone gateways closest to Big Sky, Montana are North (Gardiner, MT) and West (West Yellowstone) Entrances. Visit Old Faithful and the Grand Canyon of the Yellowstone. View wildlife in the Lamar Valley including wolves and bears. Fish one of several rivers or Yellowstone Lake. Open year-round, Yellowstone access is best during summer. Thousands of travelers flock to Yellowstone every year, to take in the amazing scenery and diverse wildlife of America's first national park. Opened in 1872, Yellowstone's landscape includes alpine peaks, arid valleys, hot springs, geysers, mountain lakes, pine forests, canyons and so much more. A vast assortment of wildlife roam the park's interior, providing ample photo opportunities for visitors along the roads and trails. Grizzly and black bears, wolves, moose, elk, deer, eagles, antelope, and big horn sheep are just some of many species “at home” in Yellowstone. 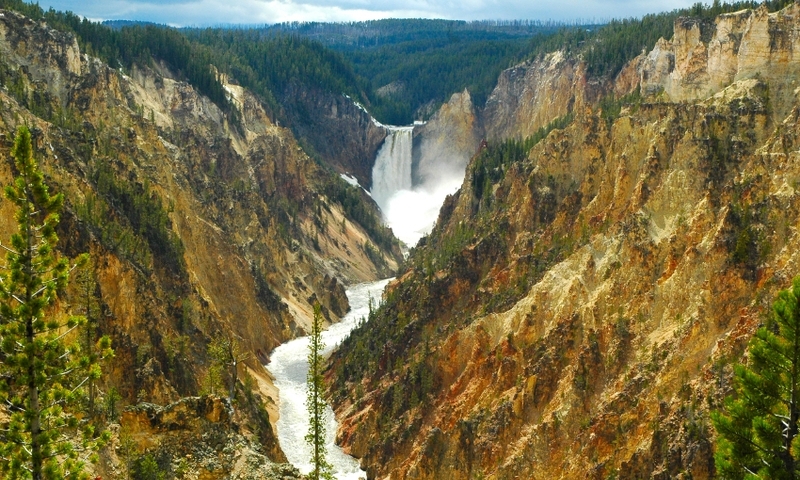 Situated mainly in southwest Montana and northwest Wyoming, Yellowstone has 5 entrances – North, West, South, East and Northeast. Visitors from Montana's Big Sky area generally enter the park via the North or and West Entrances. The North Entrance, near Gardiner, Mt, is open year-round. 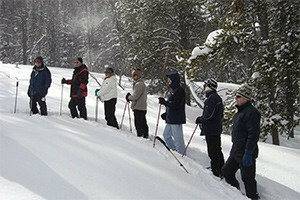 The West Entrance (West Yellowstone) is generally open from late April through early November but offers access to snowmobiles, snowcoaches, and cross country skis in the winter. Visit Old Faithful and take a boardwalk tour of Mammoth Hot Springs, just a couple of the many geothermal features in the park. Anglers will enjoy their choice of locations including the Yellowstone, Firehole, Gibbon and Madison Rivers, Yellowstone Lake and more. Fishing licenses required. Make your Yellowstone vacation planning easier and book a tour with a local outfitter. Try a guided horseback ride, day hike, boat or bus tour, or sign up for regularly scheduled ranger-led presentations. Yellowstone's diverse range of wildlife species is a primary draw for most travelers. Though an assortment of animals can be found throughout the park, the Lamar Valley is the ideal location to view such elusive creatures as wolves and bears. A dozen designated campgrounds are located in the park, providing hundreds of sites and certain amenities depending upon location. Be sure to make reservations early when available; campgrounds fill quickly during July and August. Call 866-439-7375 or Book Online. 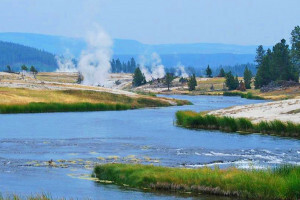 Visitor information for Yellowstone National Park and the surrounding area.